The Indian subcontinent on the eve of the Second Kandyan War; the entirety of Sri Lanka is shown as being under British control, when in fact the kingdom of Kandy endured in the mountainous interior. The Kandyan Wars (or the Kandian Wars) refers generally to the period of warfare between the British colonial forces and the Kingdom of Kandy, on the island of what is now Sri Lanka, between 1796 and 1818. More specifically it is used to describe the expeditionary campaigns of the British Army in the Kingdom of Kandy in 1803 and 1815. From 1638-58, the Dutch East India company had intervened in the Sinhalese–Portuguese War, capturing all the Portuguese possessions on the island of Ceylon (now called Sri Lanka). They established the colony of Dutch Ceylon, controlling the coasts and lowlands, whilst the Kingdom of Kandy maintained their independence in the mountainous eastern interior. In 1795 the Dutch Republic was overthrown with French assistance, forming the Batavian Republic as a puppet state. Britain, which was at war with France, feared that influence would result in French control or use of the strategically important port of Trincomalee and others on the island. Following the Kew Letters of 1795, the British occupied Dutch possessions in Sri Lanka. These included not only Trincomalee but Batticaloa, Galle, and Jaffna, as well as the entirety of Sri Lanka's lowlying coastal areas. The new colony of British Ceylon was determined to expand and control the entirety of the island, and had reformed traditional social structures like the caste system and the rajakariya (lit. "kingwork", labour and or tithes owed to the Kandyan king). This added to the tension between them and the still independent Kingdom of Kandy. Mountainous central Sri Lanka remained independent, having resisted 250 years of European attempts to control Ceylon. Kandy was now under the rule of the Nayaka kings of Senkadagala. Early British attempts at securing a treaty with mountainous kingdom were rejected. The internal stability of Kandy was shaky, as king Sri Vikrama Rajasinha found himself being constantly undermined and intrigued against by powerful Sinhalese nobles. He also faced a potential usurper in the form of Muttusami, brother-in-law of the previous king Rajadhirajasingha, who had fled to British controlled lands in the early 19th century and had been agitating against the beleaguered king ever since. The earliest British garrison numbered about 6,000 which was increased through the recruitment of local sepoys, and the forces of the Empire further enjoyed exclusive access to the sea. Kandy, in contrast, had the advantage of being situated in difficult, mountainous terrain, and could also draw on four hundred years of experience resisting European colonists. 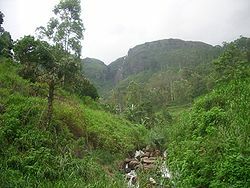 Terrain near Kandy; much of the Kingdom was mountainous, thickly forested and malarial, and the routes to Kandy were kept secret and well-guarded. The first Kandyan war was precipitated by the intrigues of a minister of Sri Vikrama Rajasinha, Pilimatalawe, who defected to the British and offered to show them the way through central Sri Lanka's winding mountain passes to the capital city. Enraged, the King of Kandy had the minister's family executed. The British dispatched two separate forces into Kandyan territory - one, under Major-General Hay MacDowall, from Colombo, and another, under a Colonel Barbut, from Trincomalee. These included 51st Regiment of Foot, the 19th Regiment of Foot, the Malay (Muslim) 1st Ceylon Regiment, the all-Sinhalese 2nd Ceylon, and the mixed Sinhalese Malay 3rd Ceylon. In the Kandyan army, at least one contingent was under the command of a Malay (and hence Muslim) prince called 'Sangunglo', an interesting commentary on the multiethnic nature of the mountainous kingdom. After fierce fighting the British force found Senkadagala deserted in February 1803. They swiftly established a garrison, crowned Muttusami as the new, puppet, king of Kandy, and set about subduing the remainder of the kingdom. Despite these early successes the army soon suffered a number of setbacks. The Chief Minister responsible for guiding the British into Kandy had greatly inflated the extent of the king's unpopularity, and resistance proved fierce. The Kandyans resorted to fighting a guerilla war (much the same tactic as they had adopted against the Portuguese and the Dutch) and proved difficult to dislodge. Disease ravaged the garrison left behind in Senkadagala to secure the capital. Perhaps most worrying, a number of native sepoys defected to the Kandyans, including a soldier of Malay descent called 'William O'Deen' or 'Odeen', who years later became the first Sri Lankan exiled to Australia. The Kandyans counter-attacked in March and seized Senkadagala. Barbut was taken prisoner and executed, and the British garrison wiped out; only one man, Corporal George Barnsley of the 19th Infantry, survived to tell the tale (though other sources put the number of survivors at four). In the meanwhile the retreating British army was defeated on the banks of the flooding Mahaveli river, leaving only four survivors. Despite this setback the British still remained unquestioned masters of the lands they possessed, as the disastrous Kandyan counter-campaign later in the year proved. Equipped with a handful of captured six-pound cannon, the Kandyan army advanced through the mountain passes as far as the city of Hanwella. Here the army was utterly routed by superior British firepower, forcing Sri Vikrama Rajasinghe to flee back into the mountains. A general rebellion that had erupted in British occupied territory on hearing of the Kandyan invasion was suppressed. Frederick North, governor of Ceylon from 1798–1805, maintained pressure on the Kandyan frontier with numerous attacks, in 1804 dispatched a force under Captain Arthur Johnson towards Senkadagala. In a pattern that had become clear over the past two hundred or so years, the Kandyans once again defeated the British in the mountainous territory they called home. In 1805, emboldened by their successes, they captured Katuwana, a frontier town. This and the 1803 victory at the Battle of the Mahaveli, were to be Kandy's last, meaningful military successes. Though no treaty was signed officially ending the First Kandyan War, the appointment of General Thomas Maitland as governor of Ceylon in 1805 is generally accepted as the end of this first phase of open hostilities. Events in the ten years between the end of the First Kandyan War and the Second were such that the complexion of the second conflict was quite different from the first. Whereas in 1805 the British had been forced to contend with a largely hostile native nobility, in 1815 it was this same nobility who essentially invited the British into Kandy and supported their overthrow of Sri Vikrama Rajasingha. Governor Thomas Maitland, in British Ceylon, initiated extensive legal and social reforms to further entrench and strengthen British power. These included the reform of the civil service to eliminate corruption, and the creation of a Ceylonese High Court based on caste law. The Catholic population was enfranchised whilst the Dutch Reformed church lost its privileged position. Maitland also worked to undermine Buddhist authority and sought to attract Europeans to the island by allowing grants of up to 4000 acres (16 km²) on the island. He was replaced in 1812/1813 by Sir Robert Brownrigg, who largely continued these policies. In contrast, an increasingly paranoid Sri Vikrama Rajasinghe categorically alienated Kandy's powerful nobility and volatile commoners. The construction of Kandy Lake was completed in 1807. Despite its beauty it was a deeply unpopular project, as it served no practical purpose - central Senkadagala had no paddy fields that required irrigation, the traditional cause for the construction of such hydraulic monuments. In 1810 he removed the powerful Pilima Talauve from the position of Chief Minister (1st Adigar). Talauve rebelled the following year and much to the horror of Kandy's nobles was executed. The king further alienated the powerful Buddhist establishment with arbitrary requisitions of land and treasure. Throughout this period John D'Oyly, a British civil servant, was in close contact with various Sinhala nobles, who increasingly seemed to prefer the rule of the British to the volatile government of the Nayaka monarchy. The train of events leading directly up to the 1815 war commenced with the humiliation of Ehelepola, Pilima Talauve's nephew and successor as First Adigar. Ehelepola had been involved in several intrigues against the by now deeply unpopular Sri Vikrama Rajasinghe since his appointment in 1810. In 1814 his actions were revealed and the noble fled to British territory. The furious king had Ehelepola's entire family put to death in various gruesome ways. The deaths shocked the Kandyan aristocracy who now openly revolted against the king, who torched his palace and fled to a fortress at Hanguranketha. 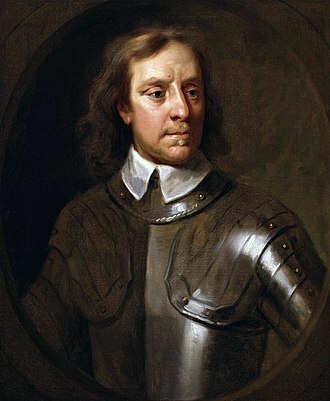 John d'Oyly, in the meanwhile, had been advising Governor Brownrigg for some time that Kandy's nobles were ready to cooperate with any British attempt at dislodging Sri Vikrama Rajasinghe. Kandyan troops soon crossed the British-Kandyan border seeking Ehelepola, and attacked the British garrison at Sitawaka - of itself enough provocation for Brownrigg to dispatch a force to Kandy. The situation was only worsened by the arrival of a group of British traders who Sri Vikrama Rajasingha had ordered mutilated at Hanguranketha. The British forces met scant resistance and entered Kandy on the 10th of February, 1815, accompanied by John d'Oyly; Brownrigg informed the Admiralty that 'Let by the invitation of the chiefs and welcomed by the acclamations of the people, the forces of His Britannic Majesty, have entered the Kandyan territory and penetrated to the capital. Divine Providence has blessed their efforts with uniform success and complete victory. The ruler of the interior provinces has fallen into their hands and the government remains at the disposal of His Majesty's Representative'. Sometime later Sri Vikrama Rajasinghe's hiding place was discovered; the deposed king was exiled with his harem, to Vellore Fort in India, where he died 17 years later. His son, and potential heir, died childless in 1842. 'Sri Wickrema Rajasinha', the 'Malabari' king, [is] to forfeit all claims to the throne of Kandy. The king is declared fallen and deposed and the hereditary claim of his dynasty, abolished and extinguished. All his male relatives are banished from the island. The dominion is vested in the sovereign of the British Empire, to be exercised through colonial governors, except in the case of the Adikarams, Disavas, Mohottalas, Korales, Vidanes and other subordinate officers reserving the rights, privileges and powers within their respective ranks. The religion of Buddhism is declared inviolable and its rights to be maintained and protected. All forms of physical torture and mutilations are abolished. The governor alone can sentence a person to death and all capital publishments to take place in the presence of accredited agents of the government. All civil and criminal justice over Kandyan to be administered according to the established norms and customs of the country, the government reserving to itself the rights of interposition when and where necessary. Other non-Kandyan's position [is] to remain [as privileged as previously] according to British law. The proclamation annexing the Three and Four Korales and Sabaragamuwa is repealed. The dues and revenues to be collected for the King of England as well as for the maintenance of internal establishments in the island. The Governor alone can facilitate trade and commerce. The signatories of the convention were Governor Brownrigg, Ehelepola and the lords (called 'Dissawes' in Sinhalese) Molligoda, Pilimatalawe the Elder, Pilimatalawa the Younger, Monerawila, Molligoda the Younger, Dullewe, Ratwatte, Millawa, Galgama and Galegoda. The signatures were witnessed by d'Oyly, who became British Resident and effective governor in the area, and his private secretary James Sutherland. The convention is interesting in many ways. It represents the theoretically voluntary transferral of authority in Kandy to the British, and indeed later events showed that the Kandyan nobility did hope that they were simply replacing one malleable master (the Nayakkar monarchy) with another (the British). Indeed, Ehelepola appears to have hoped that the new master would not be the British at all, but himself. The Sri Dalada Maligawa, in Kandy, home to the sacred Tooth Relic of the Buddha. The Kandyan Convention afforded Buddhism 'protection', but less than fifty years later the British had constructed a church within the sacred precinct. The nobles and religious potentates of Kandy were also adamant in including clause 5 concerning the protection of Buddhism. 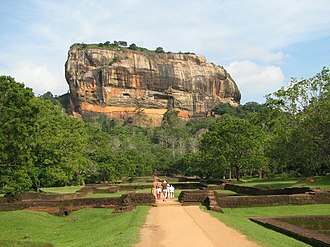 Later in 1815 the heads of the Buddhist monasteries at Malwatte and Asgiriya both met Governor Brownrigg and extracted guarantee that Buddhism would not be compromised. This included a ban on proselytising and mission schools. It took the ruling families of Kandy less than two years to realise that the authority of the British government was a fundamentally different beast to that of the (deposed) Nayakkar monarchy. Discontent with British activities soon boiled over into open rebellion, commencing in the duchy of Uva in 1817. Generally called the 'Uva Rebellion', it is also known as the Third Kandyan War. In many ways the third name is more appropriate, as the rebellion (which soon developed into a guerilla war of the kind the Kandyans had fought against European powers for some time) was centred on the Kandyan nobility and their unhappiness with developments under British rule since 1815. However it is the last uprising of this kind and Britain's response essentially liquidated the old aristocracy and ensured future rebellions would take on a much more subaltern character. The Ceylon Medal was instituted by the Ceylonese Government in 1819, the only gallantry medal struck for the Kandyan Wars. 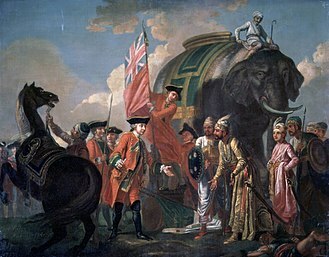 The British capture of the kingdom of Kandy marked not only the end of the 400-year-old Kingdom of Kandy, but also of all native political independence. Kandy, as a result of its geographical and political isolation, had developed unique cultural and social structures that were now subject to the intense pressures of subjugation and underwent immense upheaval and change. Much of Kandy's territory had, before 1815, been under-developed with unreliable dirt-track roads for access, apart from a few 'royal roads'. The British proceeded to transform the hill country by constructing roads across previously inaccessible terrain (the Kadugannawa hairpin bend is a famous example of British engineering in Sri Lanka), and, in 1867, building the first railway. The other big transformation was the introduction of tea to central Sri Lanka in 1867 and the massive settlement of Tamils in the region. Central Sri Lanka is now dominated by the vast tea estates that helped make Sri Lanka the world's biggest exporter of tea for a while, and were still owned by British companies in 1971. A lasting legacy of the same war in Ireland is the traditional anti-war and anti-recruiting song "Johnny I Hardly Knew Ye", depicting a soldier from Athy, County Kildare who comes home horribly mutilated from the war in "Sulloon" (Ceylon). ^ Wright, Arnold (1999). Twentieth century impressions of Ceylon: its history, people, commerce, industries, and resources (2 (illustrated) ed.). Asian Educational Services. p. 65. ISBN 978-81-206-1335-5. ^ Coddrington, Humphrey Eilliam (1926), "10", A Short History of Lanka, London: Macmillan & Co . Retrieved on 23 August 2008. 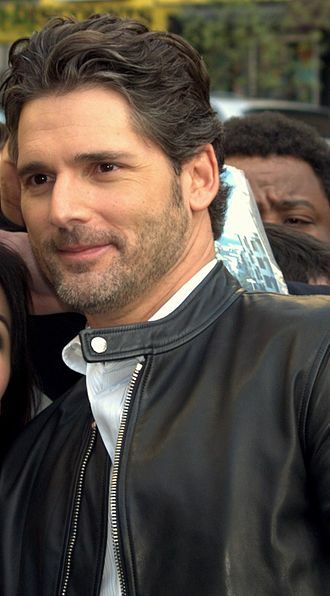 ^ a b "san.beck.org". 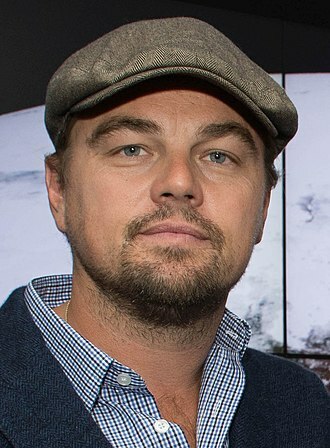 Retrieved 23 October 2014. ^ "Malays". Rootsweb.com. Retrieved 2012-08-17. ^ "LANKALIBRARY FORUM • View topic - Malayan Drum Major Odeen -1st Ceylonese Soldier in Australia". Lankalibrary.com. Retrieved 2012-08-17. ^ "Online edition of Sunday Observer - Business". Sundayobserver.lk. 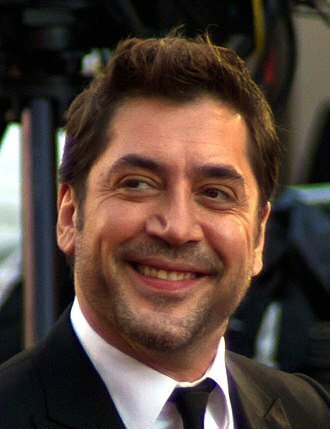 2003-06-29. Archived from the original on 2012-02-05. Retrieved 2012-08-17. ^ a b "Toolserver:Homepage". Answers.com. Retrieved 2012-08-17. ^ "Archived copy". Archived from the original on 2006-06-15. Retrieved 2006-07-03. ^ a b c  Archived February 12, 2006, at the Wayback Machine. ^ "Robert Brownrigg: Information from". Answers.com. 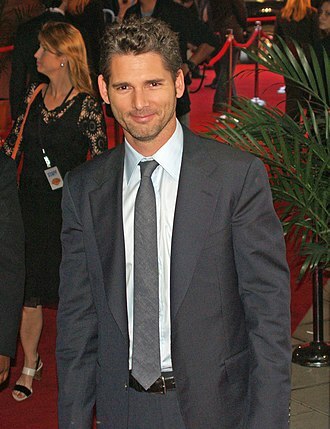 2009-12-27. Retrieved 2012-08-17. ^ Sri Lanka. "AllRefer.com - Sri Lanka - The British Replace the Dutch | Sri Lankan Information Resource". Reference.allrefer.com. Retrieved 2012-08-17. ^ a b "Ehelepola Medduma Bandara". Lankalibrary.com. Retrieved 2012-08-17. ^ "WWW Virtual Library - Sri Lanka: Haputale". Lankalibrary.com. Retrieved 2012-08-17. ^ "The 1815 Kandyan Convention at the Audience Hall". Rootsweb.com. Retrieved 2012-08-17. ^ Walsh, Robin. "16 June 1818: deaths of Private James Sutherland and Private William Chandler (73rd Regt)". Under a Tropical Sun. Macquarie University. Retrieved 30 April 2018. Batticaloa is a major city in the Eastern Province, Sri Lanka, and its former capital. It is the capital of the Batticaloa District. The city is the seat of the Eastern University of Sri Lanka and is a commercial city. It is on the east coast,69 miles south of Trincomalee, Pasikudah is popular tourist destinations situated 35 km northwest with beaches and flat year-round warm-water shallow-lagoons. The original name of the region being the Tamil Matakkalappu, according to Mattakallappu Manmiyam the word Mattakkallpu consists Tamil words Mattu Matta-derived from Mattam means flat and geographical name KaLappu. Mukkuwa named this place as KaLappu-Mattam or boundary of lagoon it became Matta-Kallappu or Flat Lagoon, Batticaloa has a nickname, Land of the singing fish due to musical sounds that related to fish or aquatic creature in the Batticaloa Lagoon near the Kallady Bridge. BBC Radio 4 able to recorded the sound in Batticaloa Lagoon. 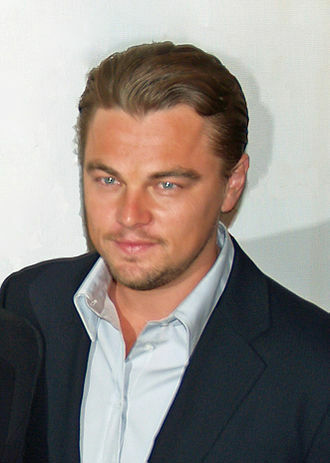 The sound was broadcast by Sri Lanka Broadcasting Corporation in 1960s with the help of Rev. Fr, Batticaloa is in the eastern coast of Sri Lanka on a flat coastal plain boarded by the Indian Ocean in the east occupies a central part of the eastern Sri Lanka. Its average elevation is around 5 meters, Batticaloa district has three lagoons such as Batticaloa Lagoon, Valaichchenai Lagoon, and Vakari Lagoon. Among these lagoon, Batticaloa Lagoon is the largest lagoon and has 56 km long 162 square km area, extending from Pankudaweli in North, there are several islands within the Batticaloa Lagoon such as Puliayantheevu, Buffaloa Island and Bone Island. Many bridges are built across the lagoon connecting the landmasses and the islands, the Puliayantheevu is the metropolitan place of the city. The biggest bridge of all is Lady Manning bridge located at Kallady and this bridge is famous for Singing fishes which were considered as musical sounds heard in the Kallady lagoon on a full moon day. They include Kallady beach and Kalkudah, Pasikudah is a bay protected from the ocean, with a flat and sandy bed extending 150 to 200 meters from the shore. 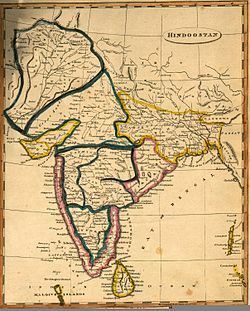 Dutch Ceylon was a governorate established in present-day Sri Lanka by the Dutch East India Company. It existed from 1640 until 1796, in the early 17th century, Sri Lanka was partly ruled by the Portuguese and Sri Lankan kingdoms, who were constantly battling each other. Although the Portuguese were not winning the war, their rule was burdensome to the people of those areas controlled by them. While the Dutch were engaged in a war of independence from Spanish rule. The Dutch interest in Ceylon was to have a battle front against the Iberians at that time. 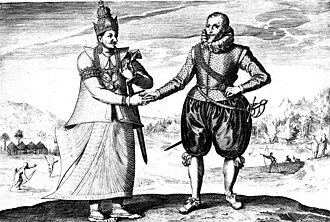 The Dutch were invited by the Sri Lankans to liberate the country from the Portuguese and they signed the Kandyan Treaty of 1638 with Rajasinghe II and soon embarked on a war against their common enemy. As such the Dutch were appointed as a protector of the country, however, Rajasinghe II approached the French and offered them the Trincomalee fort as a check against Dutch power. The Dutch captured Trinco from the French and controlled all the provinces of the island. Rajasinghe and the Dutch were both playing a game trying to outwit each other, and the treaty of 1638 was never implemented. 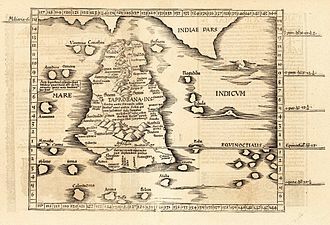 The Dutch ruled all the Tamil provinces and brought Tanjore Tamil slaves to work in the Cinnamon gardens in the Western Province, the capital of Dutch Coromandel was in Pulicat and they brought needed manpower from the Indian colonies. Portuguese rule was always in the provinces and the people whom they converted were the coastal folk. They were the backbone of their power, many of the Princes they converted had either died or were no longer Catholic. The rest of the Ceylon remained in the Buddhist-Hindu religion, the Dutch were used by the Sinhala king to take revenge on the Portuguese who wanted to expand their rule. The war with Portugal was against their ruler the King of Spain, once Portugal obtained its freedom from Spain the Netherlands settled for peace with Portugal. Then they divided the areas of Ceylon amicably under a treaty signed in Goa. Slowly, the Dutch became the rulers of coastal and outer areas of Ceylon and Indonesia, and the Portuguese were left with smaller pieces of territory than those of the Dutch and the English. South East Asia Command was the body set up to be in overall charge of Allied operations in the South-East Asian Theatre during World War II. In August 1943, the Allies created the combined South East Asian Command, to assume overall command of all air, sea. In August 1943, with the agreement of the Combined Chiefs of Staff, Winston Churchill appointed Admiral Lord Louis Mountbatten as Supreme Allied Commander South East Asia, the American General Joseph Stilwell was the first deputy supreme Allied commander, as well as heading the U. S. Mountbatten arrived in India on 7 October and SEAC came formally into being in Delhi at midnight 15–16 November, the headquarters moved in April 1944 to Kandy in Ceylon. The secondary advance was along the New Guinea-N. E. I. -Philippine axis under the South West Pacific Area Command, the South East Asia theatre, along with the North Pacific, the South Pacific and China efforts were designated to be supportive. At that time available forces were seen to be limited due to British commitment against Germany with major advances not anticipated until autumn of 1944 and after the defeat of Germany. The initial land forces operational area for SEAC was India, Ceylon, northern islands of Sumatra, on 15 August 1945 this was expanded to include the rest parts of Dutch East Indies and southern part of French Indochina. Command arrangements in SEAC were always complicated, ideally there should have been under the Supreme Commander a Commander in Chief for each of the land sea and air forces. This was implemented for the naval and air forces but the British 11th Army Group, under SEAC itself, the Eleventh Army Group had the Fourteenth Army on the Burma front, and the British garrison in Ceylon under its direct command. Stilwell served as Chief of Staff to Chiang Kai-shek, who was officially the Supreme Allied Commander in China, Air Chief Marshal Sir Richard Peirse was appointed the Air Commander in Chief under Mountbatten. Air units taking part in the Burma Campaign were, at first, Tenth Air Force came under SEAC only through Stilwell as commanding General CBI Theater. To avoid a potentially cumbersome chain of command and overlapping effort Mountbatten gave orders in December for the two air forces to be integrated under the name Eastern Air Command. At sea, the structure was relatively simple, since the Royal Navy was providing almost all naval forces in the area. Admiral Sir James Somerville, Commander-in-Chief, Eastern Fleet, became the commander under Mountbatten. It was not until late 1944 that the land forces chain of command was clarified, lt Gen. Daniel Sultan was promoted, from deputy commander of CBI to commander of US Forces, India-Burma Theater and commander of the NCAC. Once the Burma Road from Mandalay to Chungking was secured NCAC became passive and in March 1945 Mountbatten agreed to the US, RAF aircraft destined for SEAC had the word SNAKE applied after the serial during ferrying to prevent them being appropriated by other commands along the route. In February 1945 Air Marshal Keith Park was appointed Allied Air Commander of South-East Asia Command where he served until the end of the war, once most of Burma was re-captured by Fourteenth Army, the command turned its attention towards its next major operational objective, Malaya. Portuguese Ceylon refers to the control of the Kingdom of Kotte by the Portuguese Empire, in present-day Sri Lanka, after the countrys Crisis of the Sixteenth Century and into the Kandyan period. Portuguese presence in the island lasted from 1505 to 1658 and their arrival was largely accidental, seeking control of commerce over territorial conquest. The Portuguese used these internal divisions to their advantage during the Sinhalese–Portuguese War and this allowed the Portuguese sufficient claim to the Kingdom of Kotte upon Dharmapalas death in 1597. Portuguese rule began with much resistance by the local population, the Kingdom of Kandy sought help from the Dutch Empire in their efforts to rid the island of the Portuguese. The Dutch Empire initially entered into agreement with the Kingdom of Kandy, after the collapse of the Iberian economy in 1627, the Dutch–Portuguese War saw the Dutch conquest of most of Portugals Asian colonies. Eventually, Portugals Ceylonese territories were ceded to the Netherlands, there remain elements of Portuguese culture in Sri Lanka today from this colonial period. The Madurai Nayaks were rulers from around 1529 until 1736, of a region comprising most of modern-day Tamil Nadu, with Madurai as their capital. The dynasty consisted of 13 rulers, of whom 9 were kings,2 were queens, the most notable of these were the king, Thirumalai Naicker, and the queen, Rani Mangammal. Foreign trade was conducted mainly with the Dutch and the Portuguese, as the British, Madurai Nayaks belonged to the Balija social group. Early in the 14th century, a dispute arose over the succession to the Pandya throne, one claimant appealed for help to emperor Ala-ud-din of Delhi, who dispatched his general, Malik Kafur, in 1310. Malik Kafur marched south, ransacking kingdoms on the way and causing changes to the political configuration of central. He marched into Madurai, sacking the town, paralysing trade, suppressing public worship, the great Meenakshi temple with its fourteen towers was pulled down, destroying the nearby streets and buildings, and leaving only the two shrines of Sundaresvara and Meenakshi intact. The events are controversial, as another account describes them. the Deccan was soon to feel the force of Islam, Malik Kafur returned to Delhi following these events. The Pandyas protested the invasion, which continued for a few years in spasmodic fashion, the weakness of the Pandya regime caused the neighboring Chera ruler to invade and defeat the Pandya ruler, and he crowned himself in 1313. This was followed by a Chera occupation, the Chera occupation was transitory. In 1333, during the rule of Muhammad bin Tughlaq, Jalal-ud-Din Ahsan Khan declared independence from the Delhi sultanate, alaud din Udauji Shah took power in 1339, but soon met with the same fate. Qutb ud din Firoz took over in 1340 and was killed in about forty days, giyaz uddin Muhammad Damghan ascended the throne in 1340 and married a daughter of Ahasan Shah. Ibn Batuta visited Madura during his reign and he testifies to his atrocious behaviour and he was defeated initially by the Hoysala Veera Ballala, but captured and killed Ballala. France declared war on the Habsburg Monarchy of Austria on 20 April 1792. In July 1792, an army under the Duke of Brunswick and composed mostly of Prussians joined the Austrian side and invaded France, France suffered reverses and internal strife and responded with draconian measures. The Committee of Public Safety formed and the en masse drafted all potential soldiers aged 18 to 25. The new French armies counterattacked, repelled the invaders, and advanced beyond France, the French established the Batavian Republic as a sister republic and gained Prussian recognition of French control of the Left Bank of the Rhine by the first Peace of Basel. With the Treaty of Campo Formio, the Holy Roman Empire ceded the Austrian Netherlands to France, Spain made a separate peace accord with France and the French Directory carried out plans to conquer more of the Holy Roman Empire. The First Coalition collapsed, leaving only Britain in the fighting against France. The key figure, the Holy Roman Emperor Leopold II, brother to the French Queen Marie Antoinette, had looked on the Revolution calmly. He became more concerned as the Revolution grew further radical, although he hoped to avoid war. Dumouriez prepared an invasion of the Austrian Netherlands, where he expected the population to rise against Austrian rule. 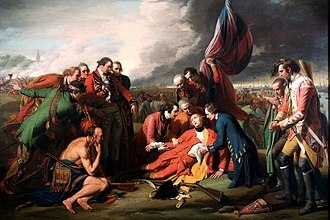 However, the revolution had thoroughly disorganized the French army, which had insufficient forces for the invasion and its soldiers fled at the first sign of battle, deserting en masse, in one case murdering General Théobald Dillon. While the revolutionary government frantically raised fresh troops and reorganized its armies, in July 1792 the invasion commenced. Brunswicks army, composed mostly of Prussian veterans, took the fortresses of Longwy, although the battle was a tactical draw, it bought time for the revolutionaries and gave a great boost to French morale. 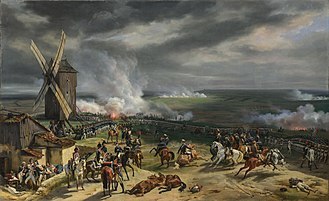 Dumouriez went on the offensive in Belgium once again, winning a victory over the Austrians at Jemappes on 6 November 1792. On 21 January the revolutionary government executed Louis XVI after a trial and this united all European governments, including Spain and the Netherlands against the Revolution. Galle is a major city in Sri Lanka, situated on the southwestern tip,119 km from Colombo. Galle is the capital of Southern Province, Sri Lanka and is the district capital of Galle District. Galle was known as Gimhathiththa before the arrival of the Portuguese in the 16th century, Galle reached the height of its development in the 18th century, during the Dutch colonial period. Galle is the best example of a city built by the Portuguese in South and Southeast Asia. The city was fortified by the Dutch during the 17th century from 1649 onwards. The Galle fort is a heritage site and is the largest remaining fortress in Asia built by European occupiers. On 26 December 2004, the city was devastated by the tsunami caused by the 2004 Indian Ocean earthquake. Thousands were killed in the city alone, Galle is home to the Galle International Stadium, which is considered to be one of the most picturesque cricket grounds in the world. The ground, which was damaged by the tsunami, was rebuilt. Important natural geographical features in Galle include Rumassala in Unawatuna, a large hill that forms the eastern protective barrier to Galle Harbour. Local tradition associates this hill with some events of Ramayana, one of the great Hindu epics. The major river in the area is the Gin River, which begins from Gongala Kanda, passes villages such as Neluwa, Baddegama and Wakwella, the river is bridged at Wakwella by the Wakwella Bridge. Galle was known as Gimhathitha in ancient times, the term is believed to be derived from the classical Sinhalese term meaning port near the river Gin. Gaala in Sinhala means the place where cattle are herded together, hence the Sinhalese name for Galle, another theory is that the word Galle is derived from the Dutch word ‘Gallus’, which means rooster. The Dutch have used the rooster as a symbol of Galle, according to James Emerson Tennent, Galle was the ancient seaport of Tarshish, from which King Solomon drew ivory and other valuables. Cinnamon was exported from Sri Lanka as early as 1400 BC, Galle had been a prominent seaport long before western rule in the country. Persians, Greeks, Malays, the modern history of Galle starts in 1502, when a small fleet of Portuguese ships, under the command of Lourenço de Almeida, on their way to the Maldives, were blown off course by a storm. The Matale rebellion, known as the Rebellion of 1848, took place in Ceylon against the British colonial government under Governor Lord Torrington, 7th Viscount Torrington. It marked a transition from the feudal form of anti-colonial revolt to modern independence struggles. It was fundamentally a peasant revolt, the Kandyan provinces were in a state of turmoil. They had been under British rule for 32 years, under the wastelands ordinance, the British had expropriated the common land of the peasantry and reduced them to penury. In the 1830s, coffee was introduced into Ceylon, a crop which flourishes in high altitudes, the principal impetus to this development was the decline in coffee production in the West Indies, following the abolition of slavery there. The British therefore had to draw on its army of labour in India. An infamous system of labour was established, which transported hundreds of thousands of Tamil coolies from southern India into Sri Lanka for the coffee estates. These Tamils labourers died in tens of both on the journey itself as well as on the plantations. An economic depression in the United Kingdom had severely affected the local coffee and merchants clamoured for a reduction of export duties. It was decided to abolish the duty on coffee and reduce the export duty on cinnamon leaving a deficit of £40,000 Sterling which was to be met by direct taxes on the people. A new Governor, 35-year-old Lord Torrington, a cousin of Prime Minister Lord Russell was dispatched to Colombo by Queen Victoria to carry out these reforms. On 1 July 1848, license fees were imposed on guns, carts and labour was made compulsory on plantation roads and these taxes bore heavily not only on the purse but on the traditions of the Kandyan peasant. A mass movement against the taxes was developing. The masses were without the leadership of their native King or their chiefs, the leadership passed for the first time in the Kandyan provinces into the hands of ordinary people. On 26 July 1848, the leaders and the supporters entered the historic Dambulla Vihara, Gongalegoda Banda was consecrated by the head monk of Dambulla, Ven. HM Sri Vikrama Rajasinha, King of Kandy. The Throne of Kandyan Kings. Capture of HM Rajasinha in 1815. Rangammal Devi, Queen Consort. Drawn by William Daniell in 1800s. Sri Lankan imitations of 4th-century Roman coins, 4–8th century. Lieutenant-General Montagu Stopford, the second and final commander of SEAC, who commanded June–November 1946. 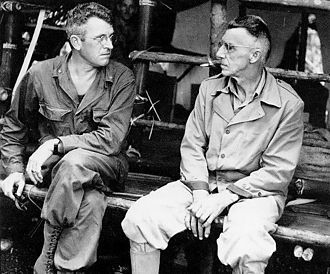 General Joseph Stilwell (right), First Deputy Supreme Allied Commander of the South East Asia Command, together with General Frank Merrill, in Burma during the Burma Campaign.